The Sebra bed for babys and toddlers grows together with your child from birth up to the age of about seven years. 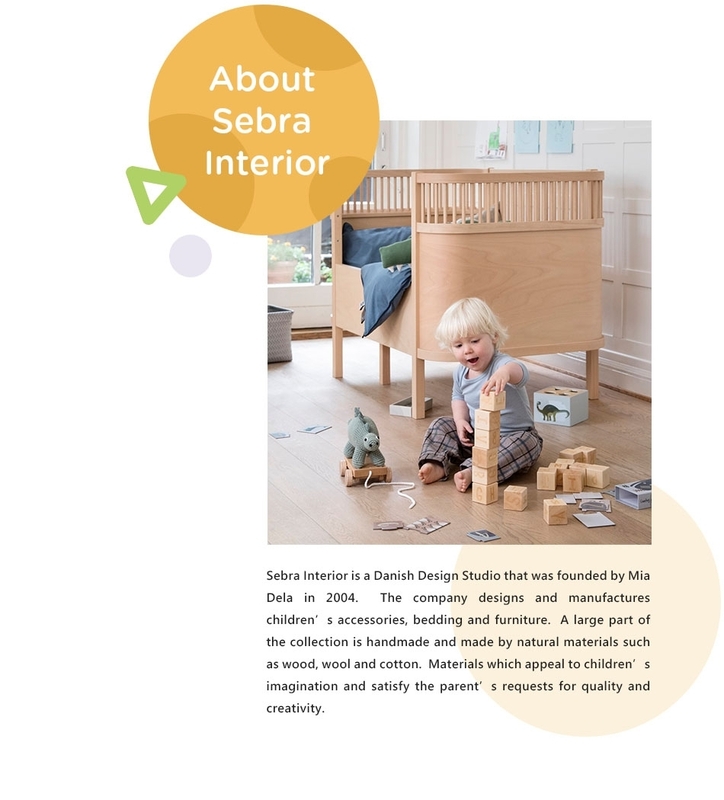 Sebra Interior offers high quality of bed accessories to creates safe and comfortable environments for your kids rooms. With the Sebra toys, the little boys and girls have ample opportunity to express themselves and explore the new things. An elegant Scandinavian design - not only a storage solution but a stylish addition to any interior.